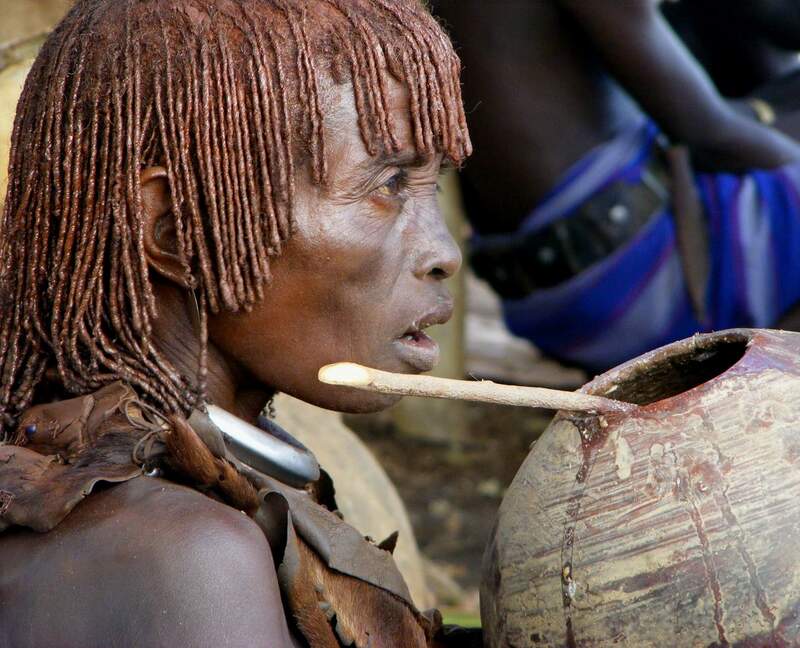 This woman belongs to the HAMER Ethnic group of the Omo valley in south-west Ethiopia. The Hamer, numbering about 40,000, has mixed economy which involves cattle herding and agriculture. They grow Sorghum and maize, and harvest honey. One striking characteristic of the Hamer, as seen in the photo, is the hairdressing. 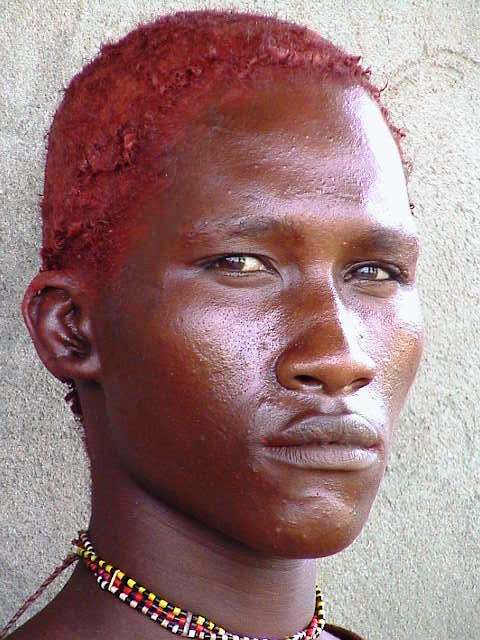 The women grow the hair and smear it with red-ocher mixed with fat, while the married men wear a clay “cap” that is painted and decorated with feathers and other ornaments. Much time is spent in preparing the hair, and care must be taken to protect it. To avoid damage the men often sleep on small, cushioned stools. Note the metal ring on the woman neck, indicating she is married. She is about to drink local beer, made from sorghum.